Aphrodite, Goddess of Love, still walks the modern world. No longer thronged by worshipers, Aphrodite heals the bodies and souls of the men she touches, one man, one night, at a time. But not everyone thinks of her as a long-dead myth. Someone is stalking her. The men who have hunted her kind as witches for centuries have passed their hatred on to their sons. Sometimes it is good to step out of your comfort zone and try something new. I have heard authors cringe when a review starts 'fantasy/paranormal are not what I normally read' they must ask themselves why said reader even entertained the thought of reading their book let alone doing it for a blog tour. 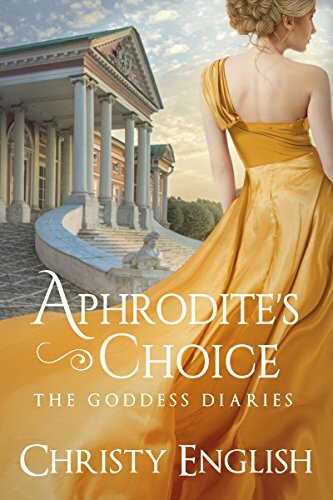 I love a good mystery and historical fiction is my favorite however simple put, my main reason for reading Aphrodite's Choice was the author. I've seen her name popping up numerous times online and even have a number of her books patiently sitting in my TBR pile. So I couldn't pass this opportunity up. I find mythology interesting but my knowledge isn't that vast but I know enough to get by. This book peeked my interest to learn more about this ancient period in history. I found the premise for Aphrodite's Choice to be unique, grabbing my attention right away and kept me glued to my kindle. Aphrodite, the Goddess of Love, but can she truly find love herself? The author used real historical events as the backdrop, taking me back in time, getting to know Aphrodite along the way. As the story unfolded I found myself reading faster as the action sped up, suffice to say it wasn't hard to get lost in this story. I loved the author's writing style, she creates enough mystery and suspense that kept me guessing and then surprised me with the ending. Definitely a book and author I recommend. This is book one in the Goddess Diaries Series and I am anxious to see what takes place in book two. Thank you to Amy at HFVBT for the invite and the author for a digital copy of Aphrodite's Choice. Please visit her at http://www.ChristyEnglish.com. 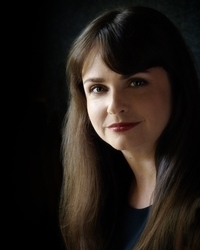 You can also find Christy on Facebook, Twitter, Goodreads, and Pinterest. To win an eBook of Aphrodite's Choice by Christy English, please enter via the Gleam form below. 5 eBooks are up for grabs! Rules – Giveaway ends at 11:59pm EST on September 9th. You must be 18 or older to enter. – All giveaway entrants agree to be honest and not cheat the systems; any suspect of fraud is decided upon by blog/site owner and the sponsor, and entrants may be disqualified at our discretion. – Winner has 48 hours to claim prize or new winner is chosen.